Russian athletes may have failed to outperform the US and China in the number of gold medals won at the London Olympics, but they most certainly outplayed the two in the amount of cash they will get. 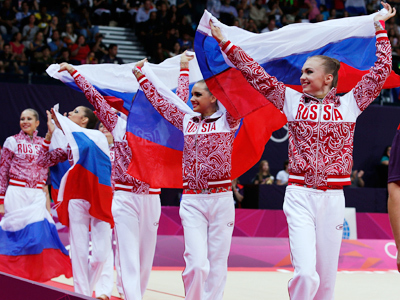 ­The Russian team will be paid more than $5.5 million in prize money for the medals won at the 2012 Olympic Games. Those who won gold will each get $135,000, silver medalists will receive $81,000 and bronze winners will be paid $54,000. In the US athletes will receive less – $25,000 for gold, $15,000 for silver and $10.000 for bronze. While in China gold medalist will be awarded $50,000, while silver and bronze winners are not considered award winning. Athletes representing the UK, which was ranked third in the gold medal table, will not get a cent. Instead they will be honored by appearing on a postage stamp. Athletes are often awarded cash prizes by their respective local Olympic committees or governments. Private businesses add to the sum, such as in Armenia where a man donated $700,000 to be added to the cash given by the Olympic committee for medals. Another generous country is Azerbaijan that will pay its gold winner $510,000 as prize money. Kazakhstan, Kirgizstan, and Italy are also among the five most highly paid countries. Kazakhstan’s Olympic Committee will pay $250,000 for the gold medal won by 19 year old Zulfiya Chinshanlo who set a new world record in women’s weightlifting. 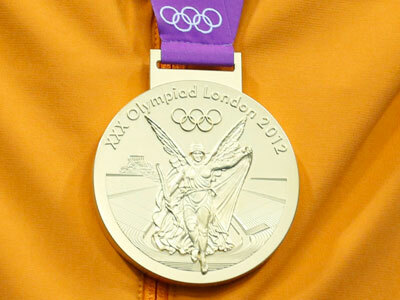 In Latvia a gold medal is valued at $172.000, the prize for a silver medal is $103.000 and bronze will cost $62.180. Austria promised to pay its winners a set of investment gold coins. Each coin contains 1 troy ounce of highest purity gold worth 100 euro, valuing the whole set at 27,000 euro. But the athletes will not get the prize as the Austrian team failed to win a single medal. Malaysian athletes also lost out on the chance of getting their hands on a prize of gold bullion. The owner of a gold mine had promised any countryman who won a gold medal a gold bar worth 500,000 euro. But Malaysian athletes only got a silver and a bronze.